Perfection may not be of this world, but the Peninsula Chicago does a good job of coming close. 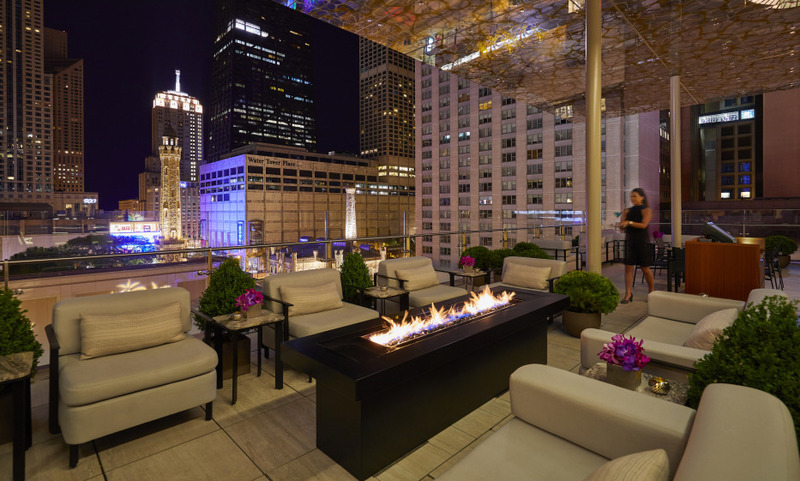 Located on Michigan Avenue, the hotel is bang in the Chicago’s primo neighbourhood with the city’s best luxury stores and gourmet restaurants only minutes away. But, chances are you’ll be happy staying holed up in the hotel playing spot-the-celebrity on the terrace of the Z Bar, or nibbling on Afternoon tea scones in The Lobby. After all it’s the place to see and be seen with the a slew of VIP’s making it their hotel of choice while in the Windy City. And who can blame them? The best of Chicago - from a spa with a half junior Olympic sized pool to three excellent restaurants and some of the most spacious rooms you’ll find in Chicago - are just an elevator ride away. Set in the heart of "Magnificent Mile" The Peninsula Chicago is ideally situated for both the leisure and business traveler. Choose among several culinary adventures including The Lobby, Shanghai Terrace, Pierrot Gourmet, the Bar. Be pampered in the superb 15,000 square-foot Peninsula Spa. Awesome. Great location. Everyone, and I mean everyone, was super friendly. I was very pleased with this hotel and certainly would look forward to staying at this hotel in the future. Everyone on the staff was extremely helpful and certainly went out of their way to make our stay a very delightful one. The room was very comfortable and extremely quiet which is important to me. I found the bed a bit hard and not as comfortable as other hotel beds in this category. The package was a great value and certainly added to my enjoying the stay in Chicago. The staff could not have been any nicer. I was impressed. I am delighted with the staff, facility and overall quality of this hotel. Having stayed in high-profile hotels around the world, I can honestly say this is one of my best experiences. Check in was delightful, room service is charming, house-keeping is impeccable and the concierge service is remarkable. The pool area is so lovely and I should have used the work-out facilities, but did not. Having assessed them, visually, I would say they are first rate. What a spectacular hotel! It's one of the best hotels in downtown Chicago. I always enjoy a stay here. You feel enveloped in luxury &amp; fabulous service! !